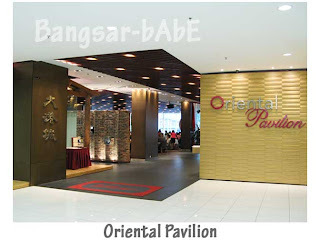 I received a RM50 birthday voucher from The Oriental Group of Restaurants so I used it at Oriental Pavilion, Jaya 33. rif and I popped by the restaurant two Sundays ago for a nice dim sum brunch. By now, you should be able to tell how much I love dim sum. 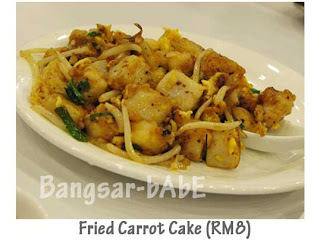 🙂 The stir fried carrot cake was quite good, crispy on the outside and soft (not mushy) inside. With a generous amount of eggs, beansprouts, dried prawns, garlic and spring onions, it wasn’t oily and had the wok hei flavour. (after trying China Treasures last week, the latter tastes better) The char siew chee cheong fun was not too bad. The rice sheets were smooth and silky with a melt-in-your-mouth texture. I thought they could have done better with the presentation as it looked a little sad. The roast pork (siew yuk) was lovely. The pork skin was crispy and the meat was tender. 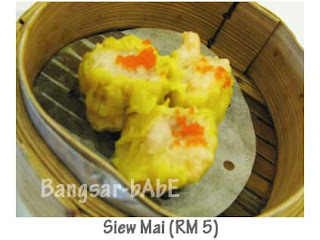 I thought the siew yuk would be even better if it had more fats but rif says it was just right. Great on it’s own, its flavour was better enhanced with a dip of mustard sauce. The siew mai took AGES and many reminders to arrive. It was not bad; the meat was juicy and topped with real fish roe. 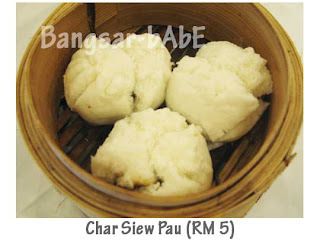 I thought the char siew pau was quite nice. Fluffy steamed bun and savoury minced meat, it’s best eaten piping hot. rif however, prefers Kam Lun Tai’s version to this. 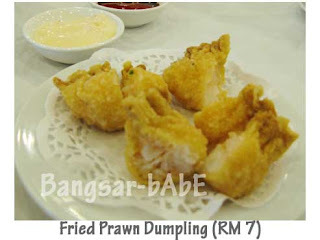 The deep fried prawn dumplings were mediocre. They looked rather shriveled and were a tad dry. Luckily, this was quickly fixed with a generous dollop of mayonnaise. 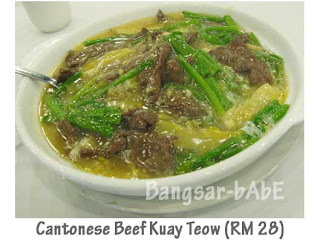 I felt like having noodles so I ordered the Cantonese Beef Kuay Teow. It was scrumptious! The sauce was eggy, not starchy and the noodles were fluffy and fragrant. What stole the show were the beef slices; oh-so-tender and well marinated, it was a gastronomical pleasure. The small green chillies with soy sauce were perfect with such a delectable dish. The Egg Tarts were not bad. 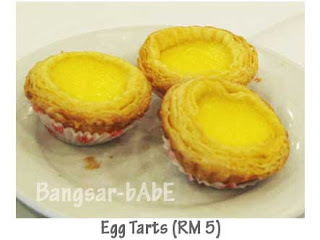 The pastry was flaky and the soft, caramelised egg custard melts in the mouth. I wasn’t happy that the tarts were cold. They would have tasted better warm. The har kau we ordered never made it to our table. We gave up reminding them and called for the bill. The bill came up to RM 89.59 including 5% tax and 10% service charge for what we had. With the voucher, we only paid RM 39.59. The food turnover was very slow. There was not enough dim sums to go around. While their dim sums are not bad, I still prefer Kam Lun Tai. I will come back for their noodles and roast platter. Verdict: Try their noodles and roast platter. Dim sums are above average, and be prepared to wait. Expect to pay about RM 30-40 per person. 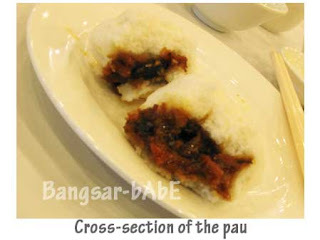 yes i do think that the char siew pau in kam lum tai is slightly better as the pork to bun ratio was just nice. I think the portion of beef was fair, with pricing taken into consideration. 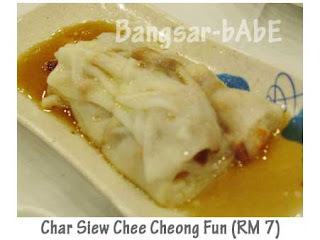 Thinking of the siew yuk makes me drool la…oink oink! !